Categories: Gas, Other, Panel Meters, Visual Indicator. 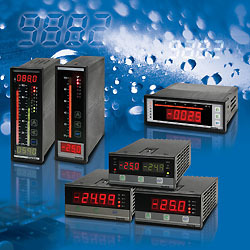 PB/PM series panel meters include bargraph and/or digital display units. Using microprocessor based electronics, modular design concepts, advanced digital calibration and switching power supply technology the PB/PM panel meters are available with a wide range of input types. For 2-wire loop powered analog inputs the PB/PM units provide the necessary transmitter power supply built-in to the panel meters. Single or dual input, the PB/PM panel meters are full-featured, easy to read and install. 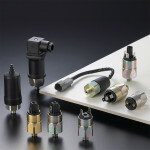 Options include up to 8 relay outputs, retransmission analog output, RS485 MODBUS serial link and a 20-point non-linear tank volume conversion function. Sizes include 3/16 and 1/8 DIN. The PB/PM panel meters are high value and packed full of great features!